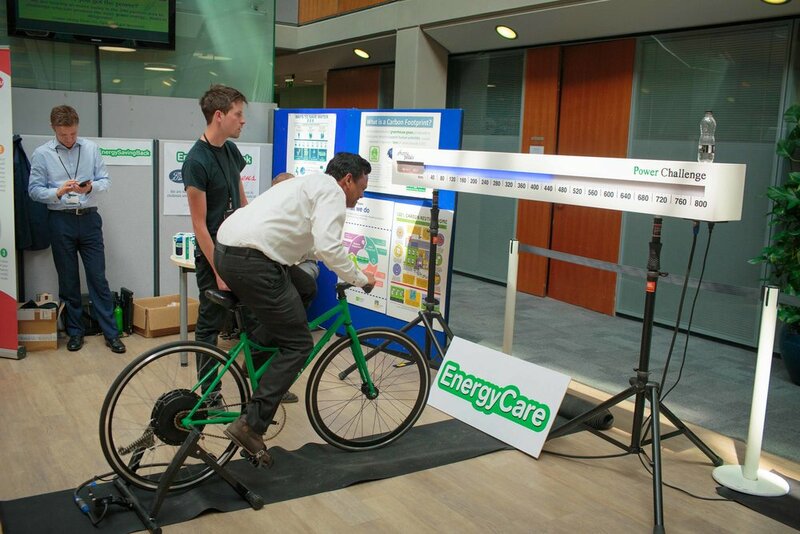 We offer power and energy awareness challenges to suit your event. From single bike setups to head-to-head races; our challenges are fun, competitive, educational and promote health and exercise. They are suited to a variety of environments and are just as popular in the office as they are in the classroom. Please ensure you read our further information section before you get in touch. Ever wondered how much energy it takes to heat water? Each person must generate the equivalent amount of energy that it would take to heat a pre-determined amount of water. (usually 5ml for kids and 10ml for adults). The challengers go head-to-head in an attempt to see who can reach boiling point in the quickest time. The results of each race are recorded and challengers compete for a Top 10 spot on our Magnetic Leaderboard. How much power can a human generate and how does that compare? Each person attempts to generate as much power as they can in a very short sprint. Maximum Watts is logged and the person who produces the most power takes the top spot on our leaderboard. We compare the cyclists power to the power required for common household appliances. It’s something we often taken for granted. We flick a switch and the light comes on; but at what cost? Our Bulb bike has both LED and incandescent bulbs that can be switched on independently. Comparing new and old technology. You can feel this in your legs as you try to keep the bulbs illuminated. Switch between LED and incandescent bulbs as pedal. You will feel the difference between the two types directly in your legs. We operate all over the UK, Europe and beyond. All you need to do is arrange a suitable space and an audience to challenge.